Ensure a great experience on any device (desktop, tablet & mobile). Reach your audience anywhere by hosting experiences on your website, Facebook, or mobile. Match your brand’s style guide with a customized, white-labeled platform. Keep your visitors where it counts with on-site viewing. 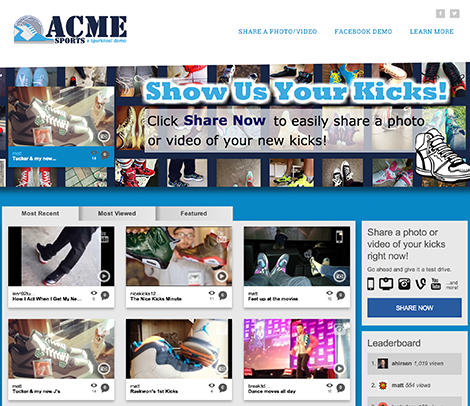 Share and consume video and photo content across desktop, tablet and mobile devices. Advertising friendly touch-points and tools that maximize exposure. 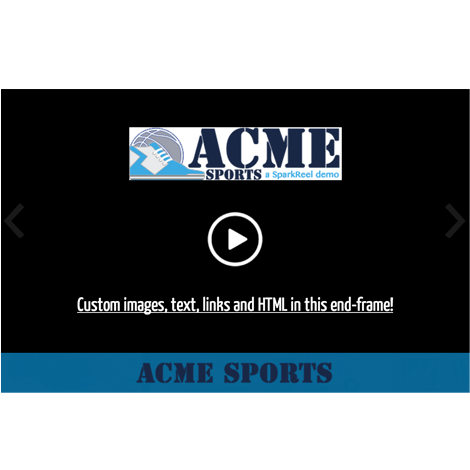 Custom End Frame - Leave viewers with a unique call to action with our custom video post-roll. 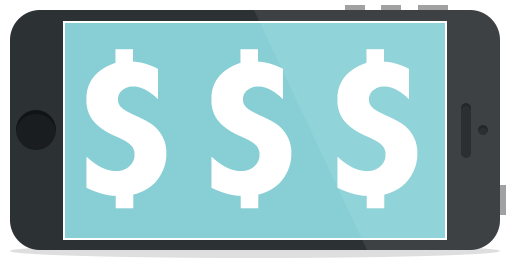 Banner Ads - Promote sponsors or drive brand messaging. Custom Emails - Continue brand/sponsor interaction with custom email notifications. 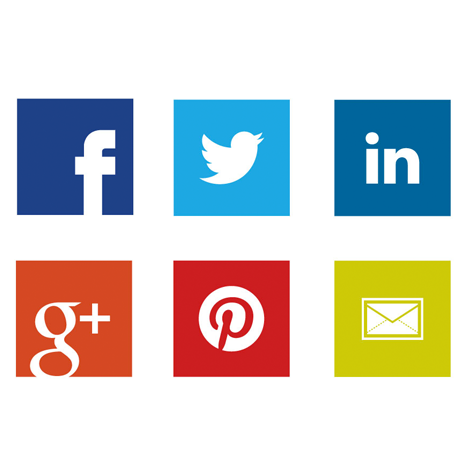 1-click social sharing to Facebook, Twitter, Pinterest and more. SEO - all content lives on a permalink page on your brand domain. Engagement Tools - Voting, commenting & leaderboards. Moderate and manage everything with an intuitive control panel.